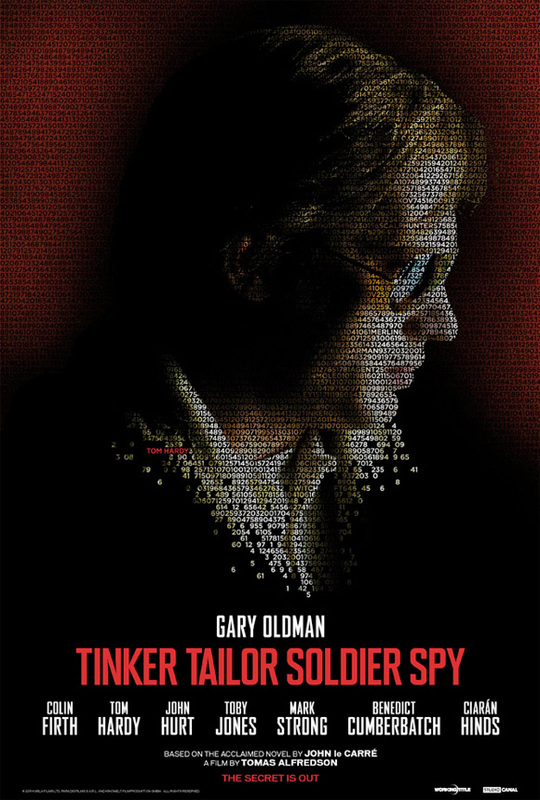 Aside from the tense first trailer and impressive second trailer from the United Kingdom, the promotion of Tinker, Tailor, Soldier, Spy has a very sleek vibe with the two coded posters that have been released featuring Gary Oldman. However, two new posters have surfaced taking the same coded, mosaic-style design and applying it to two more of the film's stars: Colin Firth and Tom Hardy. At first the posters are a bit confusing with Gary Oldman's name front and center under each photo, but if you look carefully in the code, you'll see the featured actor's name in red within the jumble of numbers and letters. See them below! Set in the aftermath of the Cold War, Tinker, Tailor, Soldier, Spy, also described as a "breathtakingly ordinary" anti-James Bond, this tells the tale of a big spy hunt within the highest echelons of the British Secret Intelligence Service. Gary Oldman plays the lead role of George Smiley (once played in the 1979 TV mini-series by Sir Alec Guiness) a small, podgy spy who is charged with unearthing a mole. The film is an adaptation of John Le Carre's classic spy thriller that follows a British Intelligence operative who delves into the world of Cold War espionage. Focus Features has this scheduled for release November 18th in the US. yeah that placement is horrible. what were they thinking?? 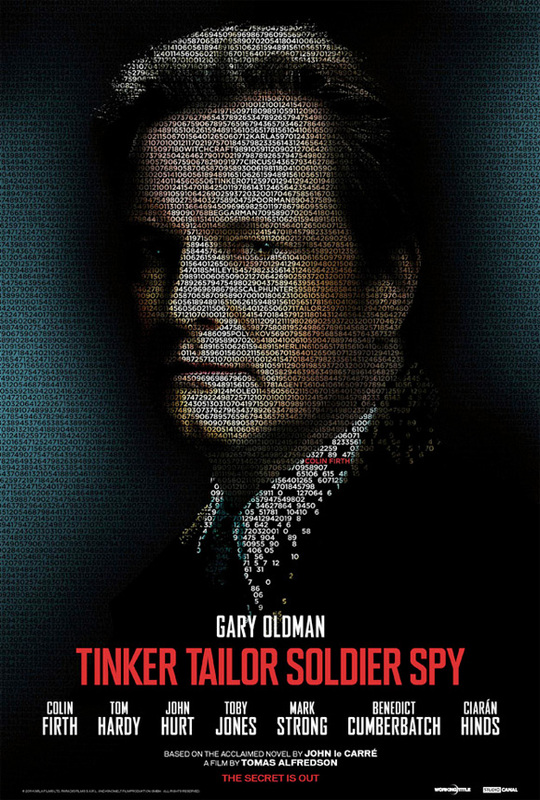 I think whoever signed the contract to give Gary Oldman top billing on the movie posters is looking very silly about now. Colin Firth's stock is much higher at the moment, so having Gary Oldman's name across his picture is only going to confuse people and make the publicity people look stupid.